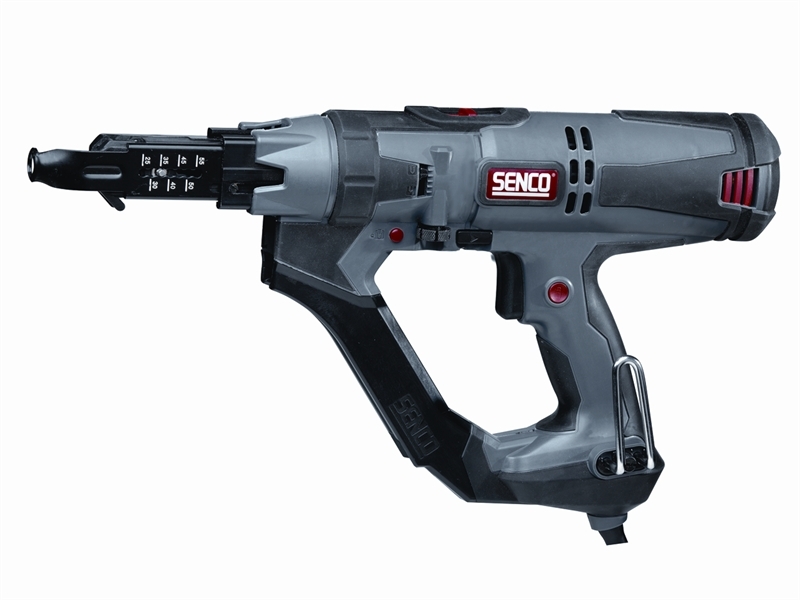 The Senco DS5525 DuraSpin Screwdriver has a high 2,500rpm torque motor that’s a great fit for general contractors that need the versatility to do a wide variety of jobs. Drives screws from 25-55mm in length. Quick slide button bit change and tool-free screw length adjustment, for ease when changing size, or application. Has smooth drive operation and a variable speed trigger. 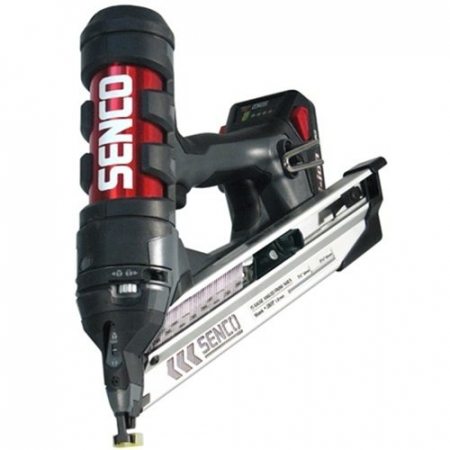 Corner-fit indexing technology allows placement of screws into tight places unreachable by any other auto-feed screw guns. Added torque provides plenty of power for composite decks, cement board, or applications where dense engineered materials are needed. Ideal for applications including Drywall, Crating, Decking, Decks, Pallets, Sheathing, Sub-flooring, Underlayment, Cement Board, Exterior decking, Floor Sheathing, Metal to Metal, Wood to Wood.